You are browsing the Blog for On the Clock Tower. 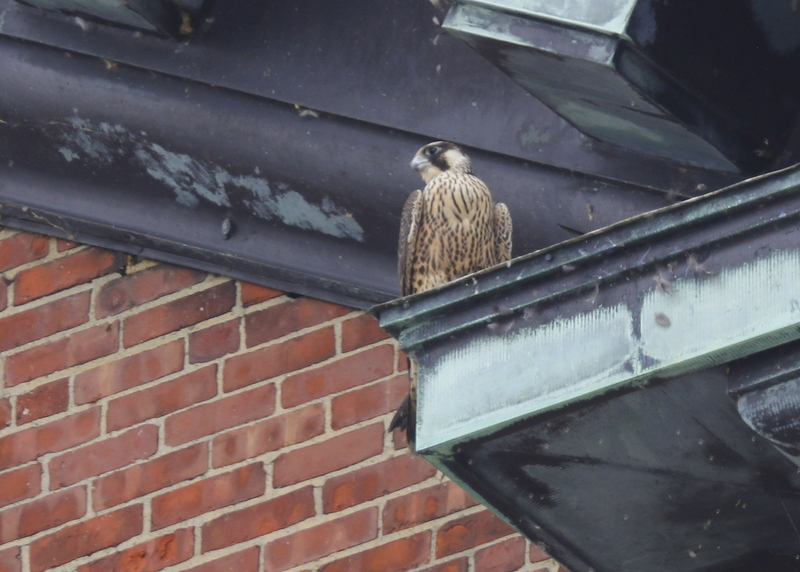 Lawrence Peregrine: perched on ledge! 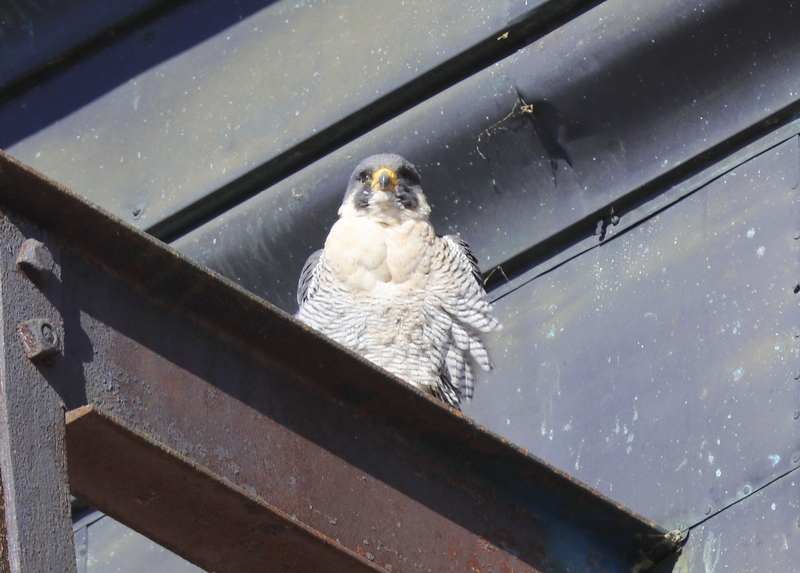 Another morning visit to the Lawrence Peregrines at the Ayer Mill Clock Tower, under clear skies, bright sun, wind out of north at 8MPH, and temp just above 30F. 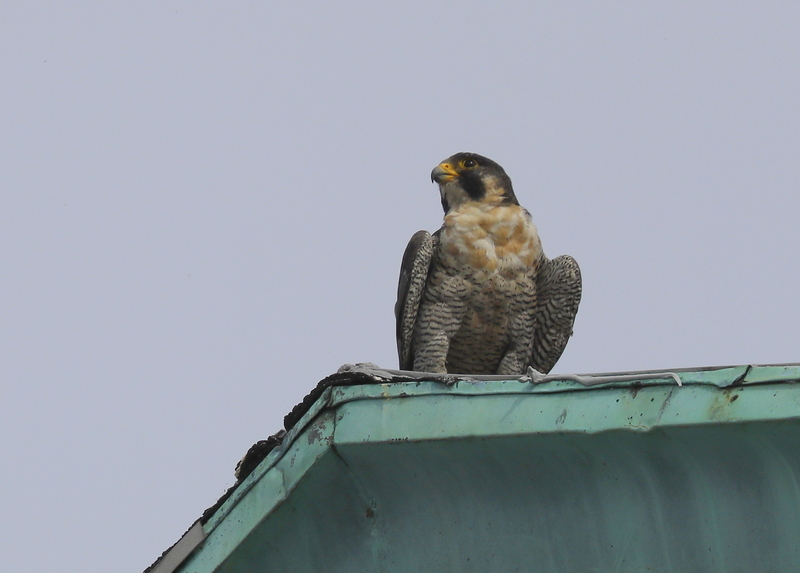 Observed both peregrines loafing on upper level perches on the west side of the Tower. 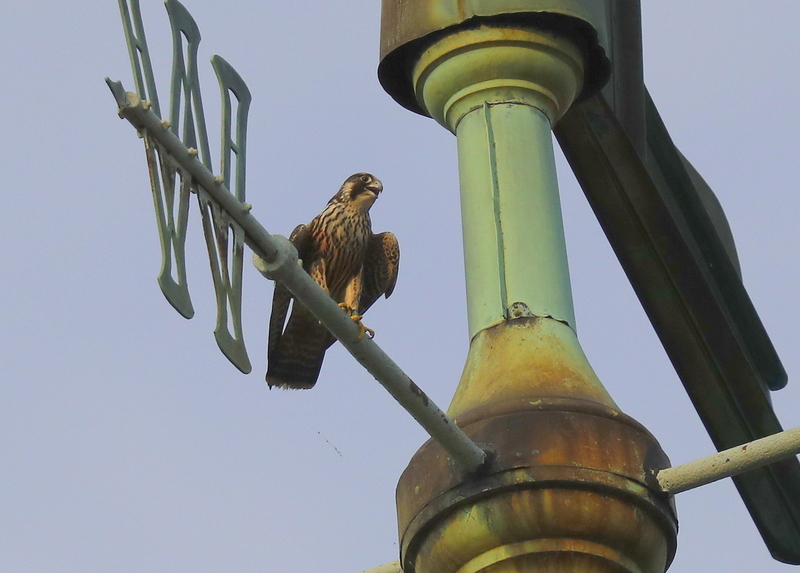 One of them flew off while the other remained on a ledge above and to the left of the west side clock face. The 2017 hatch year fledglings made first flight almost 8 weeks ago. 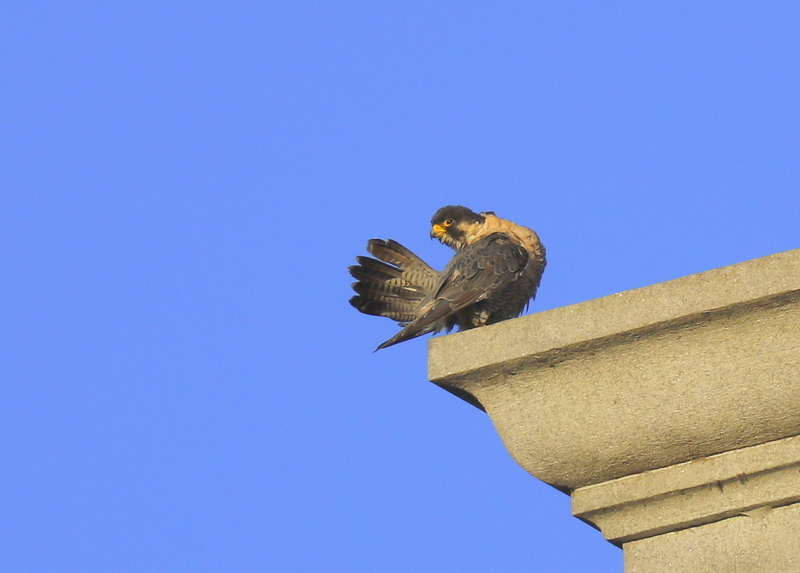 Three of the fledglings have been seen regularly around the Clock Tower. The first fledgling left and has not been seen since fledging. At this stage of growth, parents provide two important things to the young falcons: predator protection as well as food supply. Here, the adult female remains on guard for any predator threats. The protection continues, but the food supply, as provided by the parents, begins to dwindle as they improve their ability to chase and capture prey. 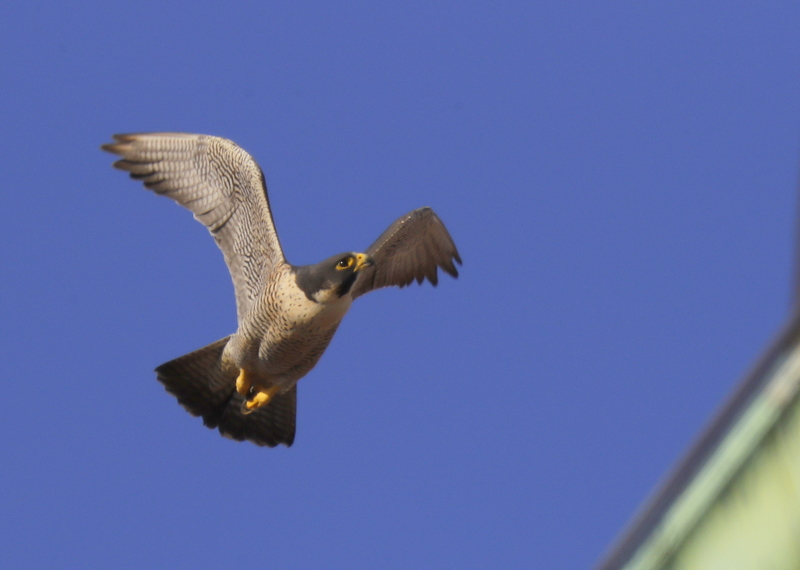 The falcon experts suggest that most young peregrine falcons disperse on their own once they have become proficient at killing on their own. This young peregrine may be the only one left around the natal site! 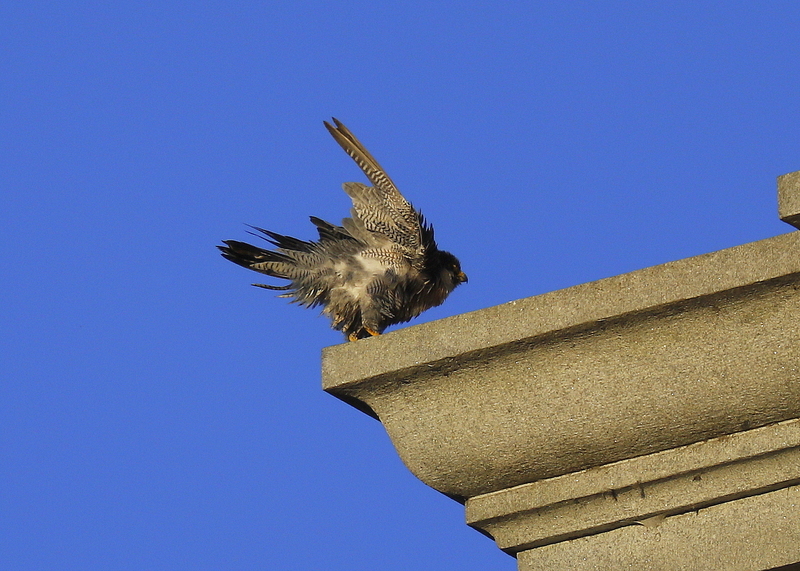 As the weeks move by, three of the four young peregrines that fledged this year continue to be seen around the Clock Tower and other nearby perch locations. They remain somewhat dependent on parents for food and protection. 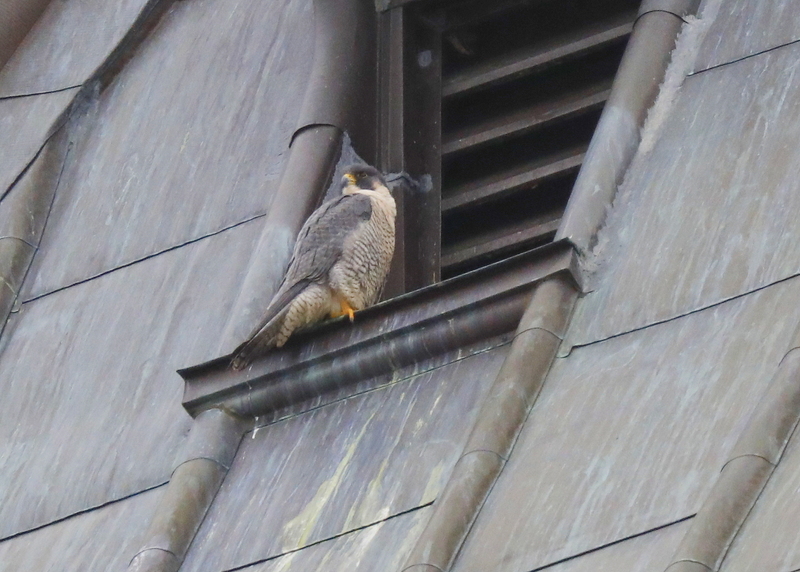 This was a late afternoon visit with one of the fledglings perched on the west side of the tower on an upper ledge just above the clock face. No luck on being able to catch the leg bands for a positive ID! 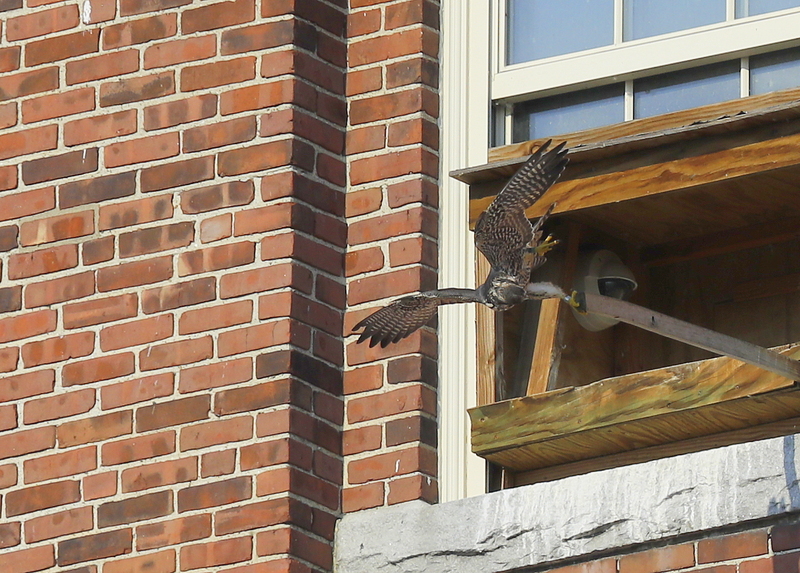 Lawrence Peregrine Falcons: female ready to land! 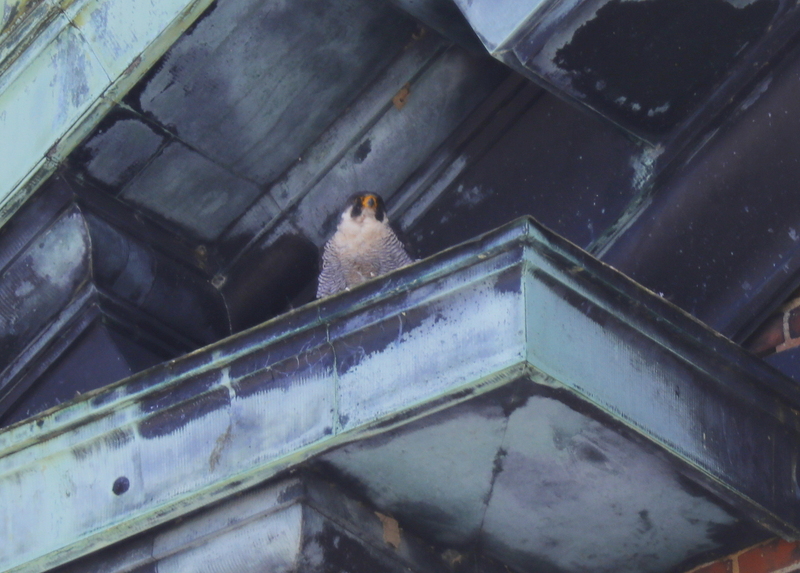 Made a later afternoon visit to the west side of the Clock Tower and found the female in flight and landing mode a number of times around the NW corner of the below the clock face. The skies were clear with bright late day sun, light winds front he SW, and temps just below 50F. No doubt the female is stretching her wings after hours incubating 4 eggs!